Dimension: 7" x 10", 10" x 14", 14" x 20"
We are offering Industrial Sign Boards to our clients. Industrial signage and industrial sign are very importent part of all industries, because industrial signage prevent mishappning occure in industries. 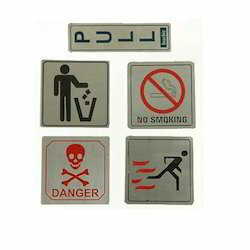 there are wide varity of industrial signage which can be used at various places in any industries. we are manufacturer and traders of all types of industrial signage . Safety Signs warn a person about workplace hazards/informations/warning and instruct employees on the proper precautions to take to avoid injuries. These Product are Manufactured with world class Production techniques, to deliver high performance at a give site. 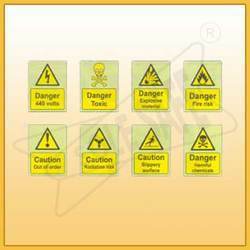 We are the Leading Manufacturers and Supplier of Industrial Safety Signage and Name Plate.